It's not quite time to mourn the passing of the television hothouse experiment in hubris that is Oprah's floundering cable channel — Comcast has agreed to a new distribution deal with the Oprah Winfrey Network, which would guarantee that OWN will be beaming its mediocre programming into 83 million homes, according to the Wall Street Journal, up from the network's previous reach of 80 million. 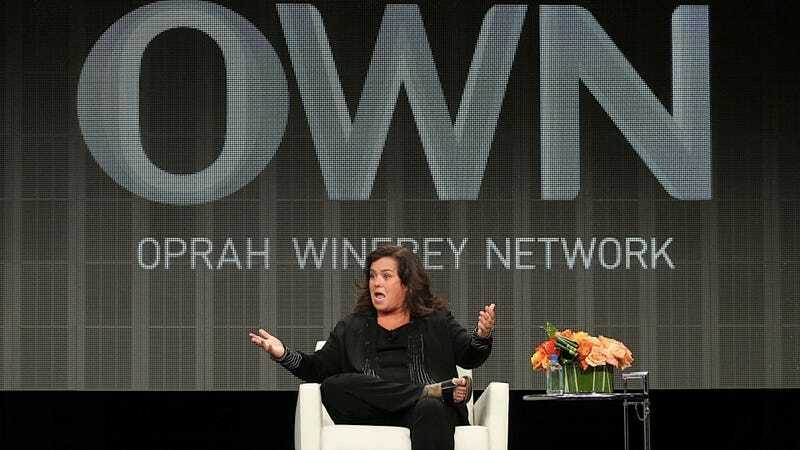 Despite a recent boost from the debut of Oprah's own show, OWN has been plagued by management turmoil, cost overruns, nearly constant concern over its poor ratings, and a very public power struggle between Rosie O'Donnell and Caesar Winfrey. Just two weeks ago, OWN, which is owned by Oprah Winfrey and Discovery Communications Inc., announced that it would cut 30 jobs as a cost-cutting measure, and outsource many of its in-house jobs to Discovery. The deal with Comcast will buoy OWN for the time being, helping increase the network's subscription fees, which often account for at least half of many cable networks' revenue (OWN didn't initially earn any subscription revenue from its distributors when it hit the airwaves early last year). For the time being, at least, we can take comfort in knowing that Oprah will on tv at least a little while, and maybe this brush with sudden cable death will teach her and her management team that what the network really needs is some more surprise giveaways and maybe a show in which Oprah replaces all the books on your bookshelf with others she thinks you should be reading instead.